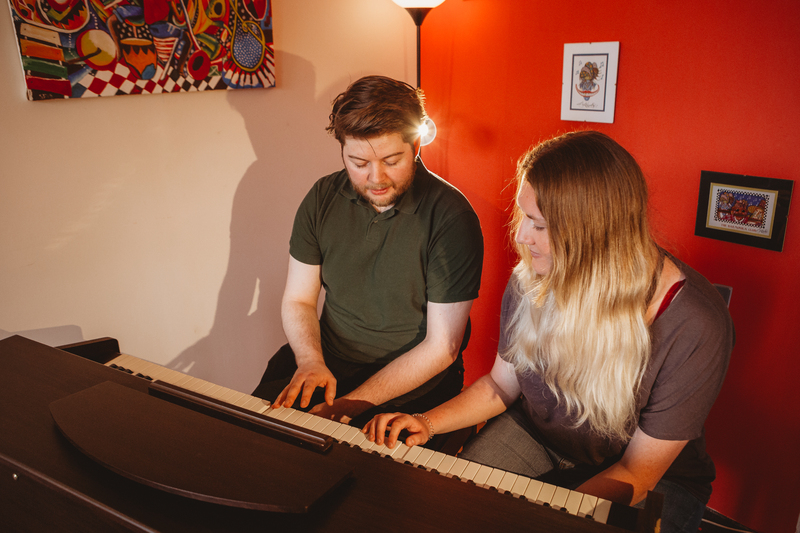 Here at Kathryn Lowdon Music School we are passionate about giving the children and adults of the North East the opportunity to learn musical instruments of their choice and help them to build social relationships with like minded people in our musical community. We offer a fantastic range of 1:1 musical instrument lessons, group workshops and performance opportunities lead by some of the region’s finest young teachers. We aim to make it fun, energetic, enjoyable and educational at the same time! 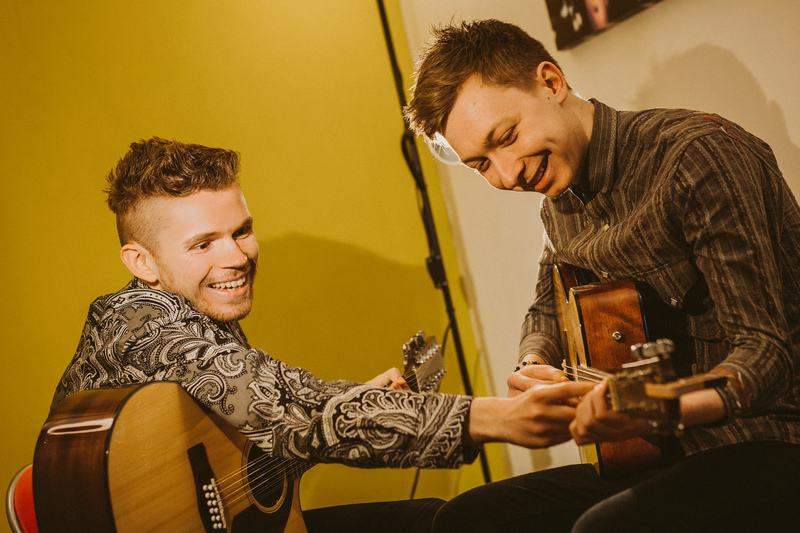 Here you can learn guitar, ukulele, piano, bass guitar and upright bass, drums, saxophone, clarinet, flute, trumpet and violin all within our colourful, convenient Newcastle city centre studios. 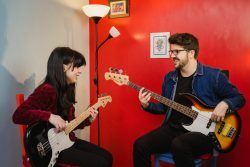 We have our own unique lesson structure which we have developed throughout the years in which all lessons will be tailored to your musical goals. 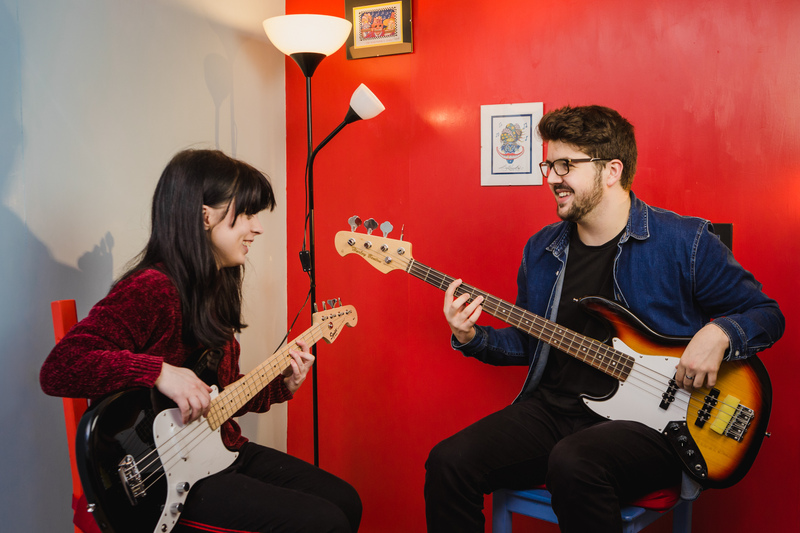 Whether you are a complete beginner, are taking up an instrument as a hobby, want to study for grades or you are keen to develop further into a professional musician, we will work to help you achieve your goals and review your progress with you each step of the way. Unique to our music school, we will also provide you with an audio recording of your music lesson to help you practice more efficiently so you can get the most from your time here. Tom is a keen musician and guitar tutor with a passion for helping other people develop their musical capabilities. Tom discovered his love for music at a young age and has been creating and performing music in bands and as a solo act ever since. Previously, Tom attained a BTEC qualification in Music Performance at Sunderland College before furthering his musical journey by completing an apprenticeship programme at The Bunker, Sunderland. It was there that Tom first discovered his love of teaching music to people of all ages and abilities and now has a great track record with many of our students returning time and again for weekly lessons with him. As well as teaching here, Tom is now completing further studies at The Academy of Music & Sound. Arthur Higgins is an experienced musician who gigs regularly around the North East and South Wales. He has played in many bands over the years on saxophone, piano/keyboard and clarinet ranging from traditional, classical orchestras to jazz big bands and funk bands. He gained the majority of his experience in tuition teaching beginners before he moved to the North East. This was on saxophone, clarinet and piano with all students having great success in both ABRSM grade exams and in pubic performances. His approach is very relaxed but at the same time, he pushes students to be the best they can be. James is a passionate musician, has been playing drums for over a decade and is an experienced professional drummer with three years of teaching experience. 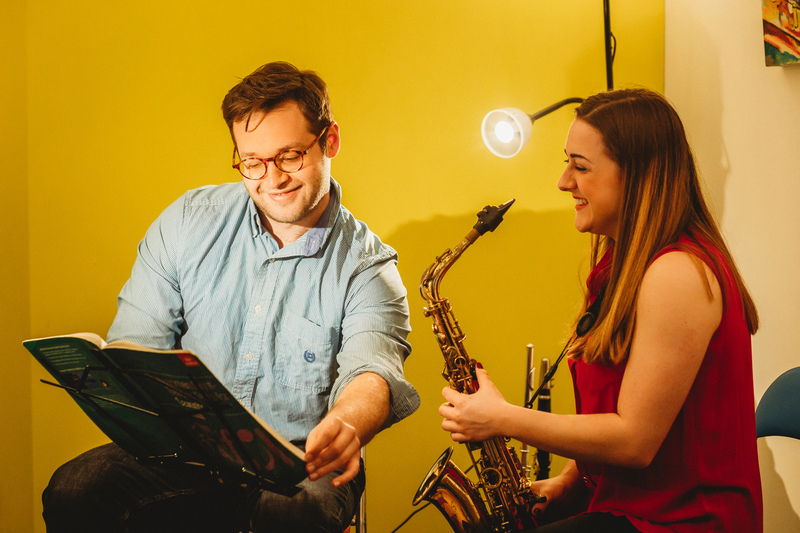 After finishing his degree BMus Jazz, Popular and Commercial Music course at Sage Gateshead, he decided to enhance the quality of his teaching by completing a PGCE course. 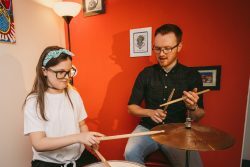 His lessons will always have a priority of being fun and enjoyable, but also with a specific purpose and goal in mind by looking at technique, reading skills, improvising and timekeeping to help you develop your skills as a drummer. Lessons can be used to target any area of drumming you choose, from learning specific songs, to learning graded pieces for exams with Rockschool and Trinity. 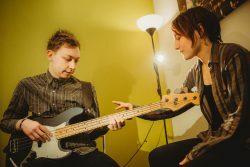 Katy Trigger is a professional musician and music tutor based in Newcastle. She offers friendly one-to-one lessons which are tailored to suit your needs, whether you are just beginning or want to brush up on the skills you already have. Lessons can be just for fun, or working towards grades: Katy’s previous pupils have achieved up to grade 6 in the Trinity Rock & Pop syllabus (and working on grade 8!) as well as working through classical ABRSM grades on double bass. Katy has been playing in bands since 2006, from jazz, funk, soul and blues to folk, reggae, ska and world music, on a range of different instruments. 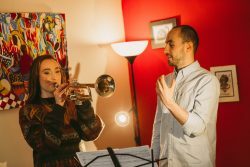 Having graduated from Sage, Gateshead’s BMus Jazz, Popular and Commercial Music in 2012, she’s been tutoring one-to-one lessons since then, and using her experience as a busy gigging musician to inform her teaching and keep it relevant to aspiring musicians. Alex began playing flute at the age of seven and saxophone at the age of ten, achieving Grade 8 qualifications in both instruments by the age of sixteen. In 2013 he graduated with an Honours degree in Jazz Popular and Commercial Music from Sage Gateshead and has since played in a variety of big bands, wind bands and orchestras – picking up two Outstanding Soloist Awards and coming second in the North West Music for Youth competition. Since graduation he has also self-taught clarinet and bass guitar to an advanced level and teaches all four forms of instrument, supporting both ABRSM and Trinity gradings from level one to eight. Alex actively enjoys performing up and down the country but is predominantly based in the North East where he teaches music in schools, as well as privately. On top of this he performs regularly with funk and soul band Nick Pride And The Pimptones with whom he has been featured on a number of albums and has toured both the UK and Europe. Elliott began his musical training with one of the countries leading music services based in Durham. Throughout school and college he performed in various wind, brass and jazz ensembles with the music service and developed his skills in playing both classical and jazz music. By sixth form he had completed both grade 8 performance and grade 5 music theory exams. He has gone on to complete an Honours degree in Music (BMus Jazz Popular and Commercial Music (Hons) based a the Sage Gateshead, and a post graduate teaching qualification (PGCE). He continuous to play and teach performing in various bands ranging from function work, original music and jazz ensembles, as well as teaching in schools. 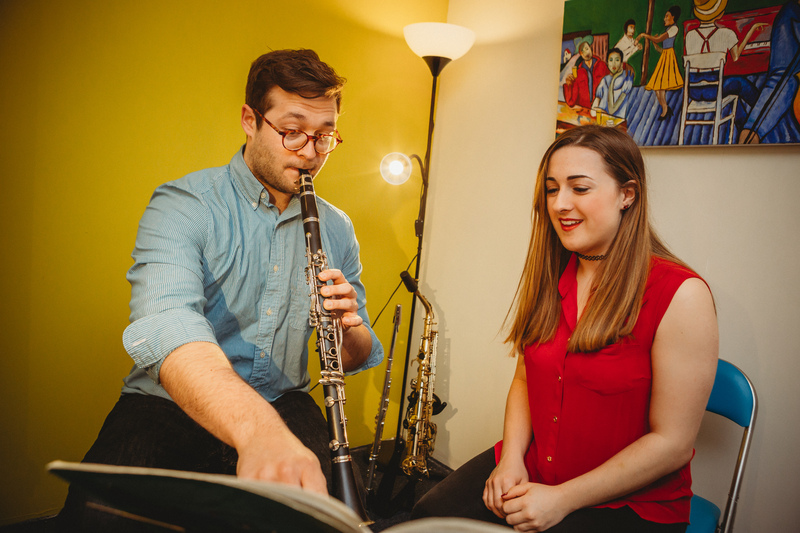 To put students at ease, Elliott offers a professional lessons with a relaxed feel. Brent is a passionate and notable musician amongst the North East Music scene. He has been playing Guitar and Bass for over a decade, and is a fully qualified and experienced tutor, dep/session musician and producer/composer for TV, Film and Advertising. Brent has been teaching for 5+ years privately, in group sessions as well as a new online course based in New York. He was awarded ‘Young Musician of the Year’ 2015 by Rotary International and has since studied the prestigious Jazz, Popular and Commercial Music degree held at Sage Gateshead. His teaching ranges from beginner right through to advanced, for all age groups. Lesson coverage includes; scales, chords, improvising, reading skills, graded examinations, aural awareness and music theory. Whilst I appreciate the focus of a determined musician, I also believe that the most important aspect is the enjoyment of learning an instrument and the journey on which it takes you. David is a professional pianist from the North East and is a valued musician in the area. He has been playing piano since he was eight years old and is a fully qualified musician and teacher. His band Shields are played on national radio and perform regularly across the country. 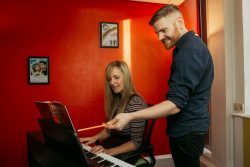 He completed the jazz, popular and commercial music degree at The Sage Gateshead and works there as an accompanist for numerous musical projects. He teaches a range of music students from beginners to advanced in grades or just for fun.